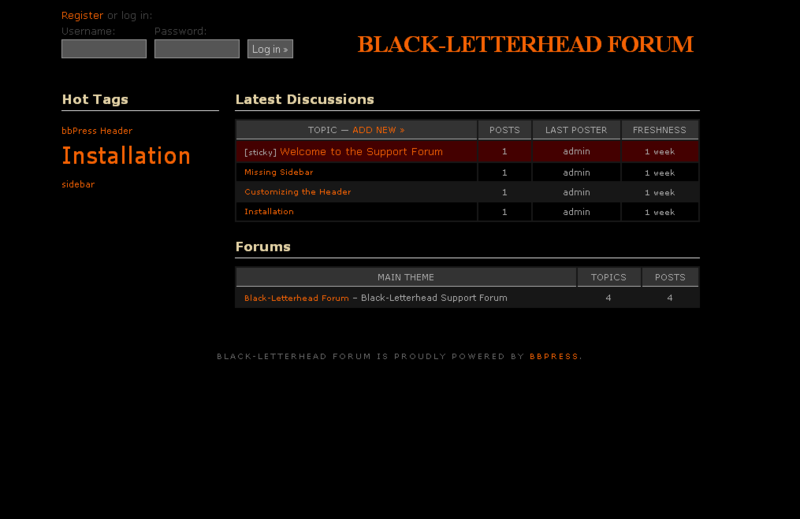 I was playing around with bbPress the other day and I came up with a new bbPress Theme called Black-Letterhead. The theme is based on Kakumei, the default theme that comes with the latest bbPress download. For those of you who know, I have a WordPress Theme called the Black-Letterhead. So, this is the bbPress version of the theme. I feel a bit more secure with Firefox knowing the development team is nimble enough to apply fixes to vulnerabilities within days after being exposed. I’m not sure about the other browsers. To me, that’s what sets Firefox apart from the others.